The Avalon Expression entered the market in 2013. 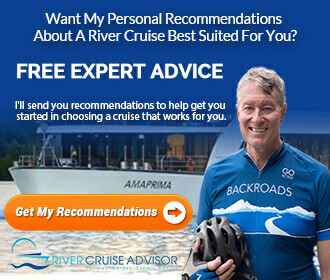 It has the same characteristics of Avalon Waterways’ other Suite Ships. More than 80% of its staterooms are classified as suites. They feature a wall-to-wall window with an Open-Air Balcony®. Staterooms range in size from 172 square feet to 300 square feet. 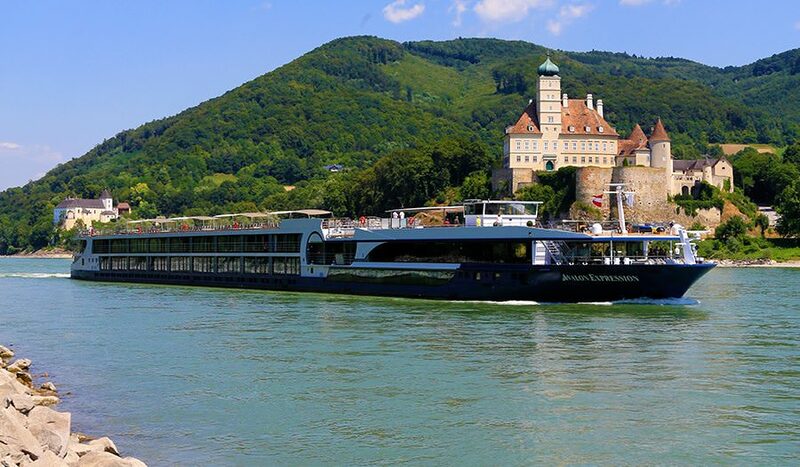 Carrying up to 166 passengers and 47 crew members, the Avalon Expression is 443 feet long. 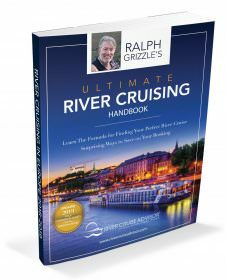 The vessel cruises along several waterways in Europe from the Rhine to the Danube, including the Dutch & Belgian Waterways. A few of the amenities you’ll find onboard the ship, include the Observation and Panorama Lounge, Sky Bistro, Panorama Bistro, Fitness Center and the main Dining Room. There are 2 stateroom categories on the first deck and all are located Forward & Midship. Category E is a Standard Stateroom. There are 6 staterooms available located Forward. This category features two windows that do not open. Stateroom size is 172 square feet. Category D is a Standard Stateroom. There are 10 staterooms available located Midship. This category features two window that do not open. Stateroom size is 172 square feet. There are 2 stateroom categories on the second deck located Midship and Aft. Category B is a Panorama Suite. There are 9 cabins available located Aft. This category features a Wall-to-Wall Panoramic Window with Open-Air Balcony®. Stateroom size is 200 square feet. Category A is a Panorama Suite. There are 23 cabins available located Midship. This category features a Wall-to-Wall Panoramic Window with Open-Air Balcony®. Stateroom size is 200 square feet. There are 2 stateroom categories on the third deck. Category P is a Panorama Suite. There are 32 cabins available located Midship and Aft. This category features a Wall-to-Wall Panoramic Window with Open-Air Balcony®. Stateroom size is 200 square feet. Royal Suite – There are only 2 Royal Suites (#310 and #312) available. Both are located Midship. This category features a Wall-to-Wall Panoramic Window with Open-Air Balcony®. Stateroom size is 300 square feet. All cabins are furnished with Comfort Collection BedsSM, which feature Egyptian super-combed cotton linens, European-style duvets, memory foam mattress toppers and your choice of either soft or firm pillows. In addition to comfortable bedding, guests will receive a bathrobe and slippers and be treated to L’Occitane bath products. Each stateroom has a flat-screen satellite TV with movie channel, well-stocked minibar, complimentary WiFi, in-room safe, writing desk and individual climate control. Panorama and Royal Suites have a 6-person sitting area with a sofa and coffee table and bathrooms are designed with marble countertops. And the Royal Suite bathrooms feature double sinks. The Avalon Expression has a few dining options with some a little more casual. You can enjoy open-seating in the Main Dining Room, which is located on the Sapphire Deck (Deck 2). There are also two Bistros onboard – the Panorama Bistro is located on the Royal Deck (Deck 3) and the Sky Bistro is located on the top deck (Deck 4). If you like to mingle with other guests in a lounge atmosphere, the Observation Lounge, Panorama Lounge and Club Lounge are on Deck 3 and the Sky Lounge is on Deck 4. A few other areas to enjoy on the Avalon Expression, include the Deck Game Area and a Whirlpool. Both are located on the Sky Deck. If you like to maintain an exercise regimen while traveling, there’s a Fitness Center on the IndigoDeck. And if you need the services of a hair salon during your river cruise, you’ll find one on the Royal Deck. Wireless internet service is available throughout the ship, including stateroom. Read other articles about the Avalon Expression.